For those interested in the paranormal, the term ‘out-of-place artifact‘ means something very special: An item that was found in a place that defies explanation, such as an ancient mechanical computer, or a spark plug found encased in solid rock. At first glance the Fortean Times – a UK-based magazine that reports on the paranormal – would appear to be something of an out-of-place artifact. With the internet providing an endless parade of free sites dedicated to exploring the supernatural, why would anyone choose to read a monthly magazine they have to pay for? And yet, as of the latest audit bureau of circulation figures, the Fortean Times actually managed to increase its circulation slightly after a number of years of falls. 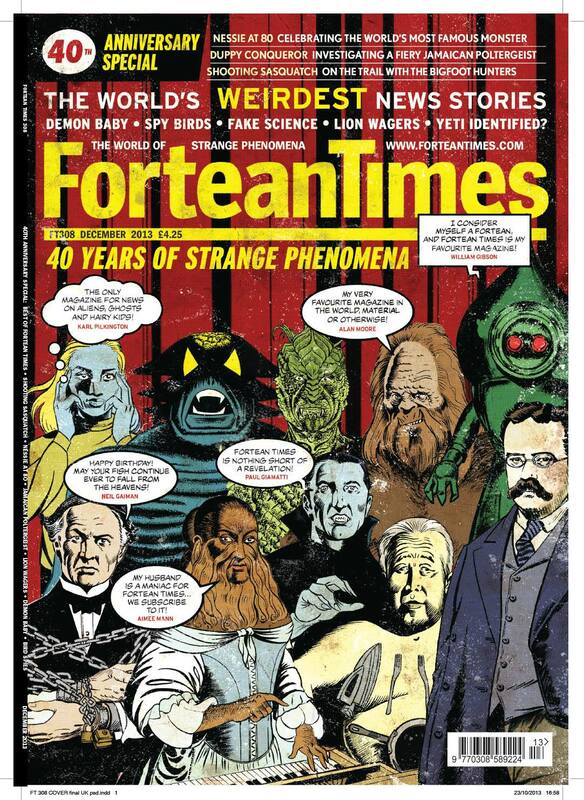 So, in its 43rd year of operation amid the harshest conditions for print magazines we’ve ever experienced, how is the Fortean Times continuing to serve an audience that should by rights have gone online? “I think the readership… tends to be older readers who view it as a bit of a journal, it’s not a completely serious magazine. It’s got the element of being almost like a scientific journal but it has a sense of humour and it can look at both sides of the story without making any judgement. “It’s a problem in some ways being number one in a field of one because all of your competitors have dropped away. There were some success stories back in the 80s, there was… The Unexplained, which ran for many years and then finally assembled into a 13 volume set on all aspects of the paranormal and the weird. Most of your monthly magazines didn’t tend to last. The overall circulation of Fortean Times has halved since 2000, in line with much of the magazine sector. In part that might be because an audience who might once have found a like-minded community through subscriptions to a magazine can find them through forums, negating the need for the print product. While the Fortean Times does operate a forum of its own, the rest of its digital offering is limited. And that’s a shame. Many of the most interesting recent developments in the paranormal fandom have been enabled by those internet communities. A collaborative group effort has created the SCP Foundation, and creepypasta have their own dedicated fandoms. Gilfallin cites the fad (and media panic) around the Slender Man mythos as having inspired content within the Fortean Times itself. In a couple of ways, the Fortean Times has always been an out-of-place artifact, since it has always had many of the advantages other magazines are only now trying to achieve: It has an extremely loyal audience, clustered round a niche topic and, most importantly, provides that audience with a service they can’t find anywhere else.